Some of you won’t be surprised to hear she chose pickleball! It is one of the most played recreational sports in the country and is especially popular with baby boomers entering retirement. While it is a great way to get moving, it is relatively less hard on aging joints than other sports. It is also a great way to meet new people and be part of a community. 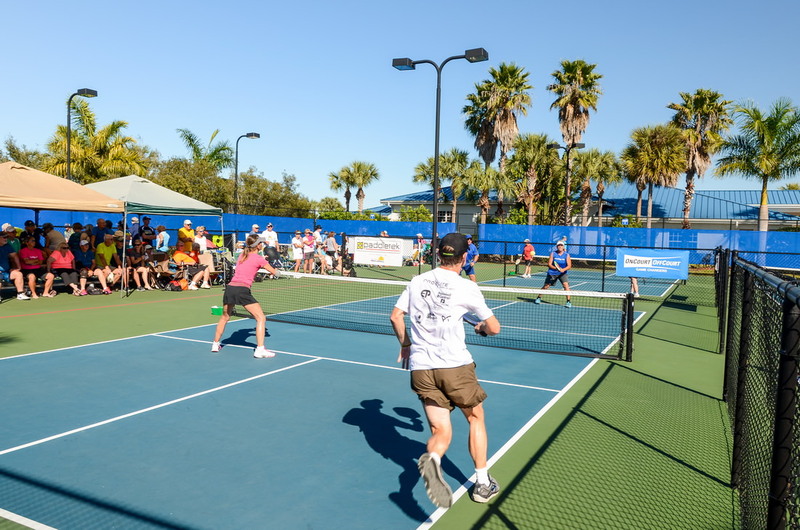 According to the Sports & Fitness Industry Association’s 2015 Participant Report, 2.46 million people play pickleball. If you don’t know a pickleball from a pickle jar, here is a bit of background. Pickleball is a fun, easy-to-learn sport that was created in 1965. It combines a bit of tennis, badminton and even ping-pong. Pickleball can be played inside or outside, and it only requires a good-sized court, a modified tennis net, a paddle and a plastic ball. It can be played by two or four players. Play can be slow or fast and furious! 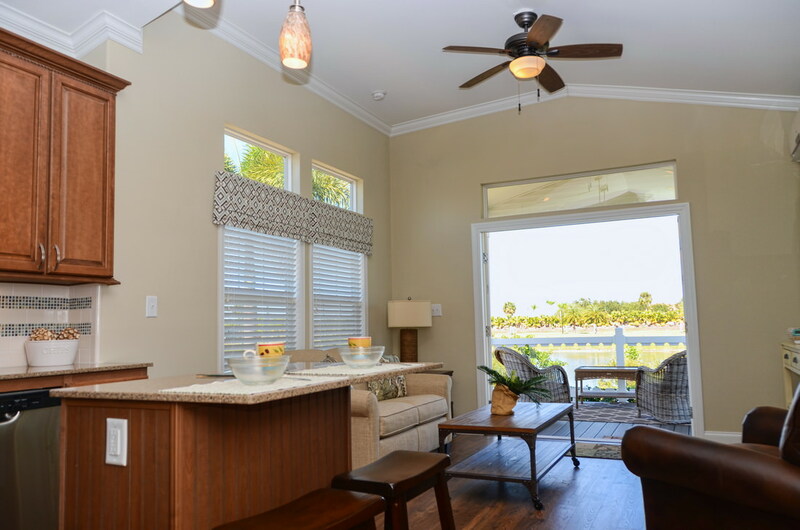 Courts are available in all 50 states, and are becoming a regular feature at resorts such as Silver Palms RV Resort in South Florida. In fact, Silver Palms owners Terry Morais and Bruce Reed are, not coincidentally, pickleball champions. Not only do the owners play pickleball, the resort recently hosted the 2016 Big Lake Pickleball Tournament and free clinics. 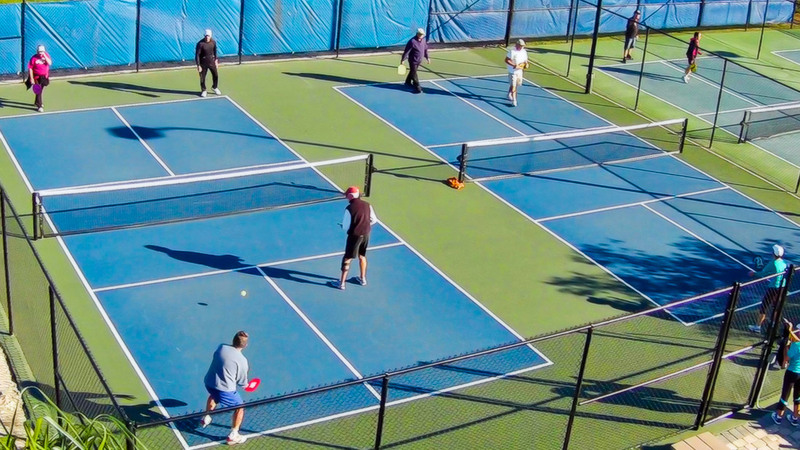 Year round, Silver Palms boasts 10 professional courts and a growing pickleball community of over 60 players from all levels. So if you are a self-professed pickleball addict or just curious about the sport, there’s no time like the present to visit Silver Palms and give it a try! 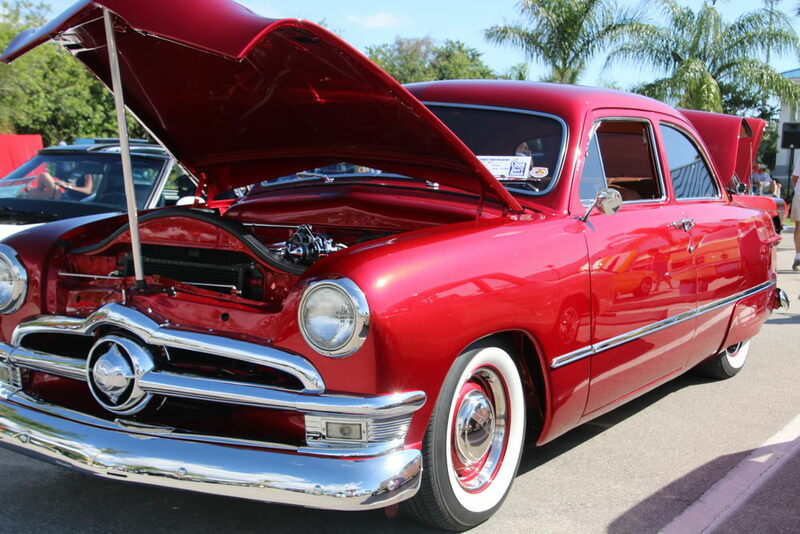 previous post: Great things come in small packages!